Cairns, Queensland - We are the ONLY all inclusive trip to Australia's Great Barrier Reef departing from Cairns. We pick the best spots every day based on conditions, so you can see the Great Barrier Reef at its best. You will have a great time guaranteed! 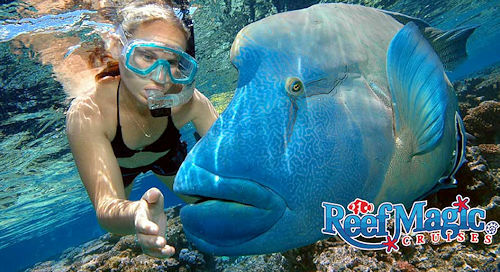 The warm waters of the coral sea combined with spectacular diving sites are sure to please everyone. We pride ourselves on having the best crew on the Great Barrier Reef. Our top priority is for you, your friends and family to have a great time! Cairns, Queensland - Cairns and Far North Queensland is the gateway to the best of the Great Barrier Reef and is our specialty. Dive Directory is your one stop tour and travel centre for your holiday in Australia. We specialize in Scuba Dive Travel and all of our staff are avid scuba divers. We pride ourselves in the products we recommend and wish you a holiday of a lifetime. Thevenard Island, Onslow, W.A. - Whether it's diving, fishing, turtle watching, bird watching or just plain relaxing, the Mackerel Islands in Western Australia's northwest Pilbara Coastal region is the ideal destination for the adventurous or the weary. Clear turquoise waters are home to pristine world-class coral reefs that offer a spectacular array of colourful reef fish and coral formations - a diver's/ snorkeller's paradise. The diving that can be found around the reefs of the Mackerel Islands is absolutely world class. It's an underwater wonderland of life and colour, with a wide variety of sites catering to both novice and experienced scuba divers, as well as those just wanting to snorkel. our Padi Dive shop offers Gear hire & sales along with dive courses, Dive charters and snorkel tours. We also offer accommodation on Thevenard island with a restaurant, bar, general store available on the island. Wavell Heights, QLD - Dive the Real Coral Sea. Imagine crystal clear water, remote, isolated and pristine large coral atolls, huge biodiversity, sharks, whales and untouched coral reefs.